Yup, more Bella in the Wych Elm. It seems that this story will never rest. HD Paranormal is raising funds for a film on Bella using previously classified police and MI5 records. You can check out their page here. 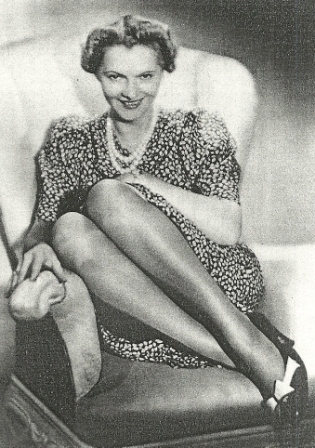 They have naturally latched onto the idea that Bella is actually Clara Bauerle, the German cabaret singer who mysteriously "disappeared" in 1941. Despite the fact that I tracked down Clara's death registration in Berlin (she died December 16, 1942 of veronal poisoning), several people have questioned whether this might not just be a cover up. I guess if one is a conspiracy theorist, then one can find conspiracies and cover-ups wherever one looks. Given that Bella's body is MIA and that there is very little information on either Clara or Bella... it is rather easy to create all sorts of juicy stories. I've said all I'm going to say about Bella not being Clara. Dig around in this blog and you'll find it all. I was asked to participate in the HD Paranormal film production and I politely declined. I will say this... proving a theory like this would require something concrete and positive. Plausibility does not a theory prove. I tracked down Clara Bauerle's birth and death registrations - concrete physical documents. If someone wants to argue that there was a cover-up... then there would need to be concrete proof of that cover-up... not speculation.